What’s So Special about Puerto Aventuras? On the map, it’s Puerto Aventuras. Locals call it Puerto. You call it your new casa in the Mexican Caribbean. What is it about this area that makes it the perfect place to call home, even if only for a few months a year? Puerto Aventuras is a prime location. You are close enough to the airport, and close to cities and towns, but you’re far enough away to avoid what we consider the hustle and bustle of city life. Yes, there will be shopping trips to the malls and to Costco, Sam’s Club and Home Depot and Starbuck’s, Applebees and Chili’s when you get a little homesick. Tulum, with an amazing archaeological site by the sea and town just 30 minutes south. 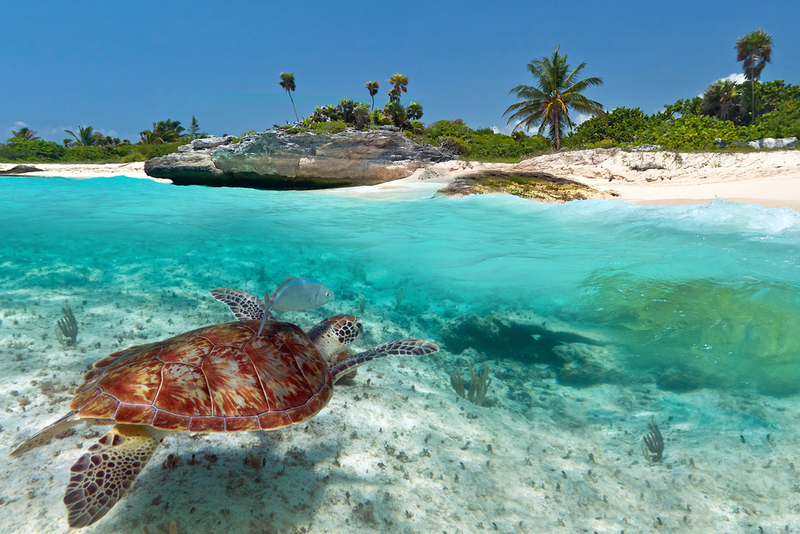 Akumal, with some of the most beautiful beaches in world, just 20 minutes from your villa to the south. Make sure to go during turtle nesting or baby turtle release seasons for a life-changing experience! Playa del Carmen, or just Playa, is only 15 minutes north with everything you’ll need in terms of shopping, dining and much more. 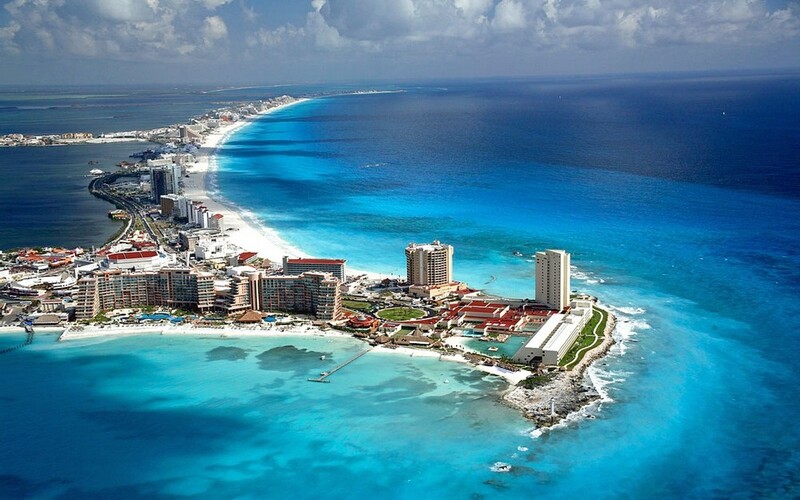 We couldn’t forget Cancun, could we? One of the world’s most famous vacation destinations is less than an hour north. Gone Fishing Puerto has one of the few mainland marinas between Cancun and Belize, so take full advantage. Sport fishing is a popular activity with lots of support in terms of marinas, boats, crews and excursions. If you’re a big game fisherman, the waters have sailfish, white and blue marlin for you. If you’re looking to angle the catch of the day for dinner, you could hook dorado, wahoo, tuna, snapper, grouper, barracuda and lots of local delicacies. The climate in Puerto Aventuras and the Riviera Maya is tropical year-round. This means winters of temperatures between 69° F and 84° F, and summers as hot as 95°F and as low as 78°F. Summer is definitely more humid, so take advantage of our cool sea breezes, pool and turquoise blue Caribbean water to keep you cool. You might have what we locals call a cold snap, but this means it dips down to 60 or so. If you’re a snowbird you’ll laugh as you break out a windbreaker for extra warmth. Taking your Christmas photos in shorts and flip-flips while enjoying a tasty cool beverage makes the perfect gift for the folks back in the frozen north. Everyone contemplating retiring here wonders about health care. You have several quality hospitals and healthcare facilites from Hospiten, Galenia and AmeriMed, among others, in nearby Playa del Carmen and Cancun. These hospitals have bilingual personnel and accept many, but not all, forms of insurance. They also cash payment, and as medical care can be significantly lower in cost than in the US, this may be a preferable option for you. Puerto Aventuras is a prime location, where there is lots to do, great weather, and it’s easy on your wallet without sacrificing your health or quality of life.